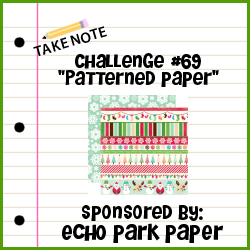 I very rarely use patterned paper on my cards, so this was a bit different for me having to use patterned paper in this weeks Wee Memories challenge. I used my favourite, Kraft cardstock, and found a nice paper from Papertrey Ink to go with it. 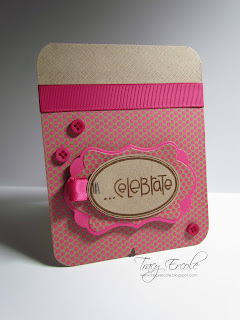 I do love Echo Park paper though and am waiting for some paper pads to arrive, I can't wait to get them.